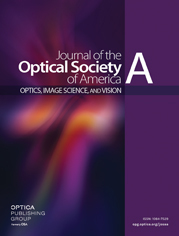 A method that uses discrete wavelet transforms for the solution of evolution equations that describe optical pulse propagation in nonlinear media is presented. The theory of orthogonal wavelet transforms is outlined and applied to the representation of optical pulses. Wavelet transform representations of propagation operators are presented and applied to the nonlinear Schrödinger equation, yielding results that are indistinguishable from traditional Fourier-based simulations. The compression properties of wavelet representations of optical pulses permit significant improvement in execution speed compared with that of the split-step Fourier method.